There are many ways to create a memorable business card. One of those ways is to use an Art Deco design that will showcase information in a stylish way. 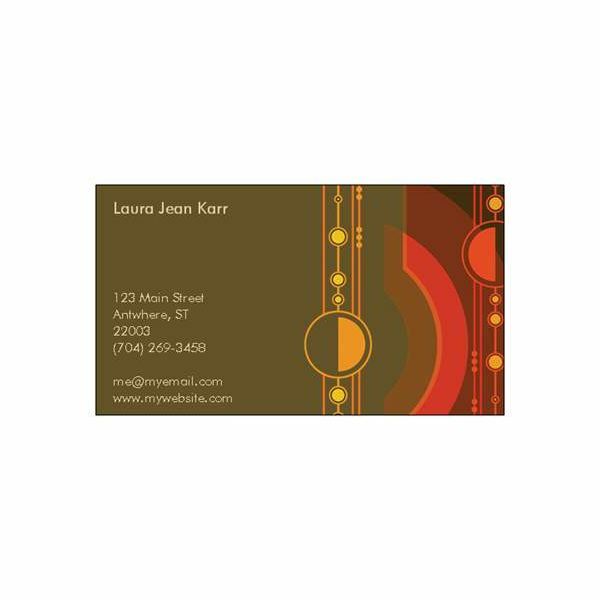 In using an Art Deco style, people or businesses that want a more elegant slant to their cards can present the business name and contact information free from background art due to the framing of the Art Deco style. Here we are going to take a look at some examples of the artistic style alone and as used in a created business card. 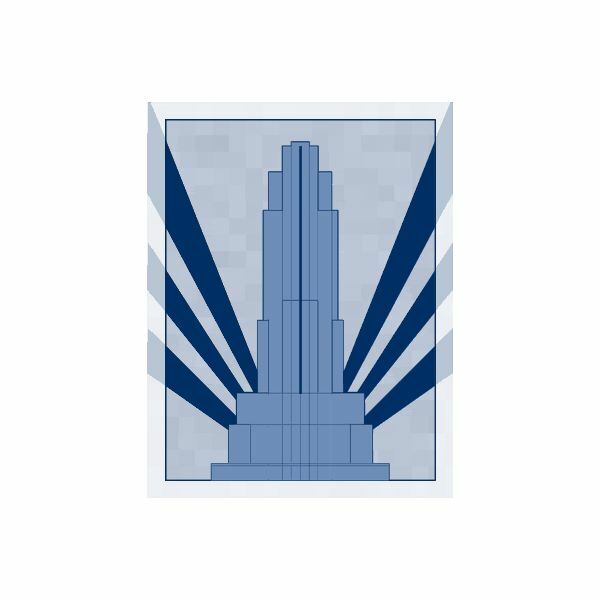 Links to free Art Deco elements will also be included as a resource for creating your own business cards in this style. The title "Art Deco" is used to label an artistic design movement that gained popularity across the globe over two decades. The movement began in Europe during the 1920s and quickly began to spread to other continents. The 1930s and 40s in America saw a blending of simple and ornate lines with the full design being categorized through sweeping elements that presented art elegantly. Used in various forms of architecture, fashion and global advertising at the time there are many Art Deco elements that have been carried through to our modern times. It is important to note that Art Deco and Art Nouveau are two different design styles. Art Nouveau has more detailed and flowery type details to it, while Art Deco is more streamlined. Shown to the left is a classic example of the Art Deco style, showing a simple but yet stylized building. Some show up in simple black and white, while other Art Deco cards can be more colorful. The business card shown to the left is in full color with a circular pattern design that includes straight lines. Click on the image to get a better view of the card. Using simple components in complimenting colors can give an Art Deco business card a unified look when presenting the business information. One of the best online places to get Art Deco business cards is through VistaPrint. Beyond the style that other sites label as Art Deco, which is really Art Nouveau, the design collection that is offered through VistaPrint is extensive. The website does not have an Art Deco titled template category, as the style in broken down into subject and basic style themes. The templates that they do have can be found in the following categories: Geometric & Borders, Conservative and Modern. If you are designing your own Art Deco business cards, there are also many places online that offer free clip art for those purposes. The following links include Art Deco style images but there is some looking around for them. Keep in mind that clean lines and geometric shapes form the basis for the Art Deco style.